This is a sponsored article and was made possible by Commander One. The actual contents and opinions are the sole views of the author who maintains editorial independence, even when a post is sponsored. macOS’ built-in Finder is… fine. It’s not terrible, and it’s not great. It gets the job done. Features are limited, but it’s reliable and sturdy, functional enough to get basic jobs done. But there’s so much that Finder simply cannot do. If you’ve ever been frustrated by Finder’s limitations, you know that’s true. 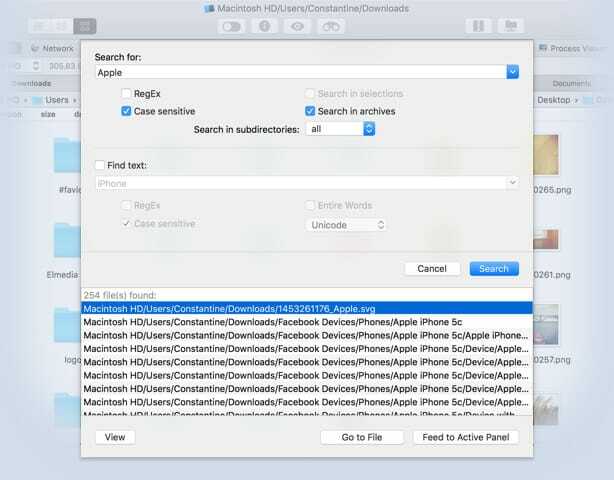 That’s where Finder replacement apps like Commander One come in. They can provide more functionality than Finder, catering to specific needs of specific classes of users. 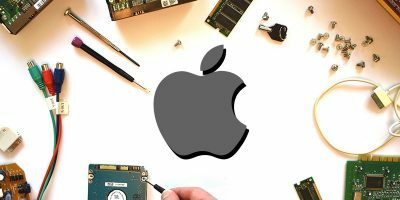 If you’re a macOS power user, you’ll want to check out a Finder replacement app. What Is Commander One All About? Commander One is a Finder replacement application for macOS. 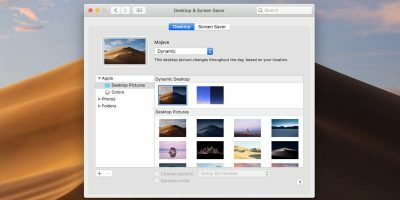 Like other Finder replacement applications, Commander One takes file browsing on macOS and enhances it dramatically. The headline feature is the dual-pane file browser. This allows the user to pull up two different folders in the same Finder window, simplifying file transfers. 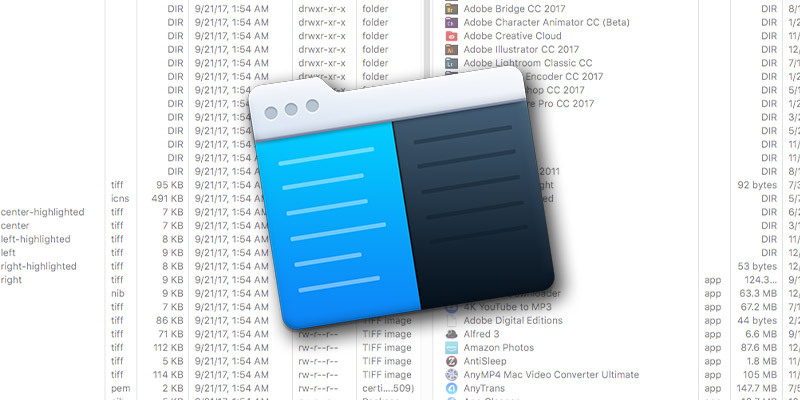 Rather than dragging from one window to another, or from one tab to another, files can be dragged from one side of the window to another, simplifying the file-dragging dance that so often accompanies file management in Finder. Like Eltima’s other applications, Commander One has a well-designed user interface that blends in with macOS styling. Considering how important the fit and finish of macOS is to the system’s users, it’s only reasonable to expect the same level of polish from third-party developers. Unfortunately, not every developer has the resources to deliver a product as well-assembled as Commander One. In our testing we found the application completely free of bugs or operational quirks. When it comes to file management, any level of bugginess is unacceptable. Commander One delivers reliability in spades. It’s written completely in Swift, so it benefits from Apple’s newest programming language. 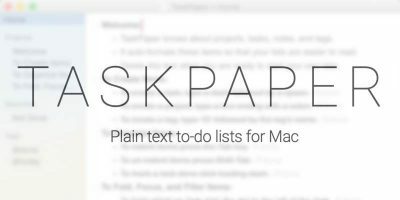 Yet, it harkens back to the old days of a keyboard-driven Finder and more powerful macOS tools. There are big, friendly buttons for common tasks like displaying file info, exposing hidden files, creating a zip archive, or starting a search. At the bottom of the window you can type your desired path directly, using relative path descriptors from the present directory. 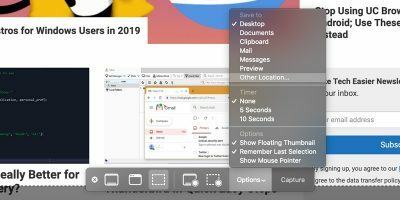 The present working directory is shown at the top of the file pane, and favorite locations are accessible from an icon strip at the top. It’s a different layout from vanilla Finder, but we found it to be worth relearning our habits to take advantage of the superior layout. It can be a struggle to keep track of everything within macOS Finder. The application simply doesn’t support the kind of functionality that power users can benefit from. That’s where Commander One comes in. It provides a huge array of additional functionality that supports higher-end file management requirements. If you move and manage local files on a regular basis, Commander One is likely to make your life significantly easier. Commander One goes out of its way to support power users with unique features. If you’ve spent much time in Terminal, you’ll find that Commander One offers similar functionality in a visual interface. For example, important file management operations are bound directly to function keys in Commander One. Select a file in one pane and press F5, and it will be copied to the disk location open in Commander One’s second pane. With F3, you can view the selected file with the file type and text encoding of your choice. F6 will move the selected files from one pane to another, and F8 deletes files. 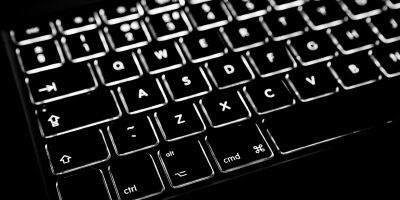 These keyboard shortcuts can dramatically speed up the most basic tasks, simplifying your workflow. Of course, a “Move to Trash” shortcut doesn’t rank as unique. But keyboard shortcuts for moving files between two locations are not found in vanilla Finder. 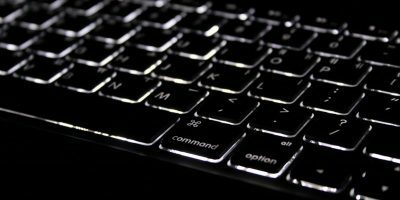 Keyboard shortcuts are always faster than mouse movements, and Commander One provides more than enough customizable keyboard shortcut options to support your unique workflow. The default Commander One view is ListView, which includes columns for various file attributes. You’ll see the typical attributes here, like date created and date modified, as well as unique options like file extension and permissions. Terminal pros will recognize this attribute from Terminal’s powerful ls -l command. Advanced users will also appreciate how powerful and configurable Commander One’s search tool is. It goes beyond just searching for text strings in file names. You can search with regular expressions (RegEx), toggle case sensitivity, search inside compressed archives, and limit the number of subdirectories. You can also set searches to look at text within files with the “Find text” option. Commander One’s search has more in common with a GUI interface for grep or find commands than it has in common with Finder’s standard search operations. Searching is also far more reliable than in Finder. Finder has an annoying tendency to drop the ball when searching for files, regularly returning non-matching files or arbitrarily ignoring files that should match your search. You’ll find none of that in Commander One. The Finder replacement app also includes built-in integration for a variety of online file storage services. You can connect directly to your Amazon S3 buckets and treat them like local files within the Commander One interface. 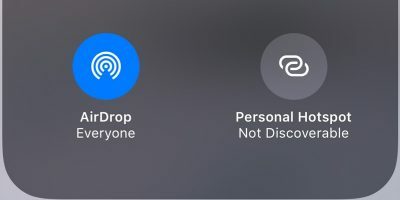 The same goes for Dropbox, which sports the same custom status icons that you’ll see in macOS Finder. 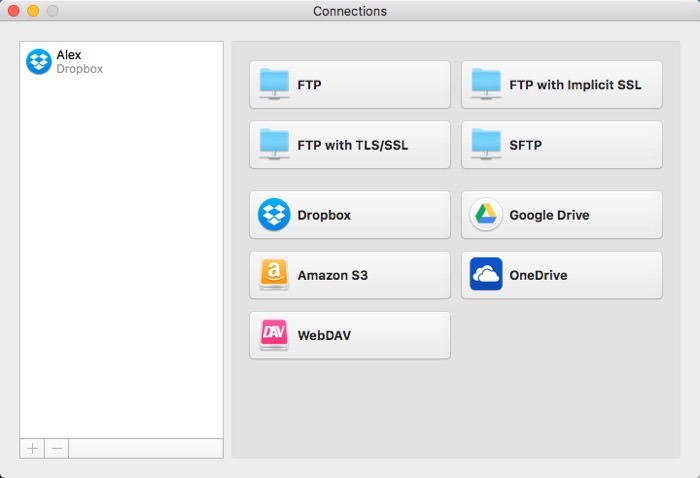 There’s also support for FTP (with and without TLS/SSL and implicit SSL), SFTP, WebDAV, Google Drive, and Microsoft OneDrive. With Commander One comes support for managing files on mobile devices. While macOS has its own methods for dealing with iOS storage, Android storage is not as well supported. In fact, macOS has been known to be outright difficult for Android users. Commander One aims to cirumvent all that by providing Android file transfer tools. It’s dramatically more reliable than Android File Transfer, which for years was virtually the only Mac application that could manage files on an Android device. But as macOS has been updated, AFT has become less and less of a sure-fire thing. Frustrated Android users will be pleased to see that there’s a respectable alternative available. Just connect your Android device to your Mac with a USB cable and put it in MTP/file transfer mode. You’ll see a prompt come up on Commander One, and once that’s approved, you can treat your Android device like any other external disk. It’s smooth, reliable, and practical, with the speed and standardization you’d expect from a USB-connected hard drive. Users of Android devices will have plenty to love here. There’s a host of minor features that make using Commander One far easier than Finder. File operation queueing optimizes operations for resource-limited systems. Selections can be made with the spacebar instead of the mouse. Selections are also “sticky,” meaning they stay around until you intentionally dismiss them. One errant click will no longer wipe out your complex selections. All hotkeys are customizable, as are the font and colors used in the interface. A running tally of your recently-visited folders makes it easier to pick up where you left off, and CommanderOne can automatically open the last directory you were working with. Compress archives with zip, 7zip, and more exotic compression algorithms. 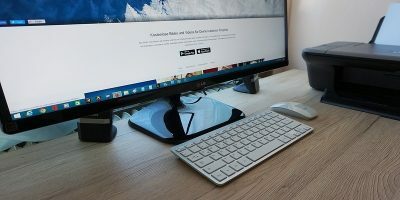 It can mount iOS devices as disks without a USB connection, and it even handles Media Transfer Protocol (MTP) drives from Windows XP. Commander One also handles tasks outside basic file management. With the application’s Process Viewer, you can open up an Activity Monitor window in one of Commander One’s panes. Not everyone needs a Finder replacement. Today it’s possible to do all your work on the Web. It’s now completely feasible to have almost no valuable files stored on your Mac’s hard drive. If that’s the case for you, then macOS Finder is likely sufficient for your needs. But if you are a programmer, web developer, graphic designer, photographer, or scientist, you know how many files you have to manage on a daily basis. Commander One can be a major help when it comes to sliding digital files around your workstation, and it’s worth giving it a try. Download a free, 15-day trial of Commander One to see how powerful a Finder replacement can be.